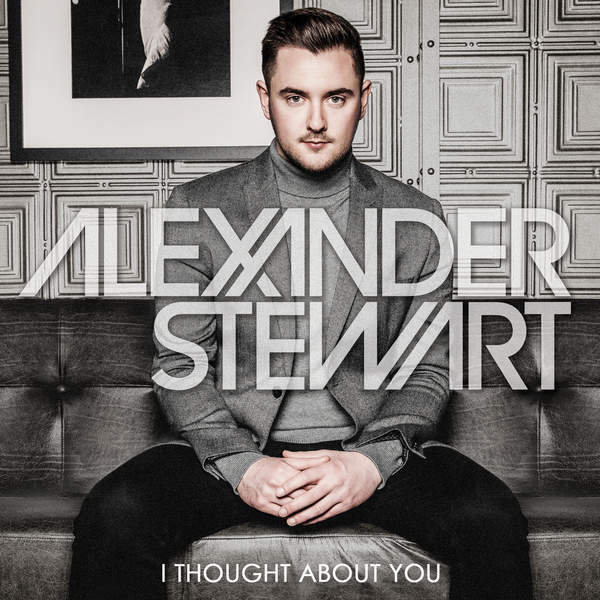 MANCHESTER-BORN SINGER ALEXANDER STEWART RELEASED HIS DEBUT ALBUM ‘ALL OR NOTHING AT ALL’ TO CRITICAL ACCLAIM. WITH A ‘TIMELESS QUALITY’ TO HIS VOICE, ROOTED IN HARRY CONNICK JR, AND SINATRA, ALONG WITH SONGWRITING COMPARISONS TO A MORE CONTEMPORARY OF HIS IDOLS- GEORGE MICHAEL, ALEXANDERS’ PERFORMANCES AND CHOICE OF SONGS MAKE FOR A MODERN ARTIST – WITH MUCH MORE DEPTH THAN JUST ANOTHER NEW-AGE CROONER . ALEXANDER HAS FEATURED WITH THE BBC CONCERT ORCHESTRA AND JOHN WILSON BIG BAND, PERFORMED ALONGSIDE CURTIS STIGERS AND BUDDY GRECO ON BBC RADIO 2, HOSTED BY SIR MICHAEL PARKINSON. HIS TV CREDITS INCLUDE THE ALAN TITCHMARSH SHOW ON ITV1. HE HAS OPENED SHOWS FOR GRAMMY AWARD WINNERS DIONNE WARWICK AND GLADYS KNIGHT ON THEIR RESPECTIVE UK TOURS. MORE RECENTLY HE MADE HIS ASIA DEBUT IN HONG KONG – FRONTING THE LEGENDARY COUNT BASIE ORCHESTRA. HIS LATEST ALBUM- ‘I THOUGHT ABOUT YOU’ INCLUDES A MIX OF CLASSIC SONGS AND ORIGINALS WHICH HAVE BEEN FEATURED BY DERMOT O’LEARY AND CLARE TEAL (BBC RADIO 2) AS WELL AS ON JAZZ FM, SMOOTH FM AND OTHER NATIONAL AND REGIONAL STATIONS IN THE UK. September 2011, Manchester-born singer Alexander Stewart released his debut album ‘All Or Nothing At All’ to critical acclaim. The ‘Stellar’ blend of original material, clever re-arrangements of some famous standards, alongside great pop songs, became a sure-fire hit, confirming a place for Alexander Stewart in the heart of the UK music scene. At 23, Alexander had already featured with the BBC Concert Orchestra and John Wilson Big Band, performed alongside Curtis Stigers and Buddy Greco on a show hosted by Sir Michael Parkinson, on BBC Radio 2 and sung live on national television on ITV1. Alexander toured much of the UK playing numerous music festivals, including both the London and Cheltenham Jazz Festivals, sell-out shows at Ronnie Scott’s, the Elgar Room at the Royal Albert Hall and in almost all of London’s jazz rooms. After featuring in multiple performances for JAZZ.FM, Stewart was invited to support the legendary Dionne Warwick on her UK tour. One of the final dates included an evening in Stewart’s hometown, at The Bridgewater Hall, Manchester. Alexander ventured overseas, with an ever increasing fan base in Europe, with dates in Holland, Portugal and Germany, where he headlined sell out shows at over 12 festivals in that country alone. Music festivals, including the Jazz Rally, Düsseldorf and Stimmen festival saw Alexander headline nights alongside Elton John, LIANNE LA HAVAS and RUFUS WAINWRIGHT to packed German audiences. Stewart took up a three-month residency at the St James Theatre in London. The year also brought live radio performances on BBC radio 3‘s ‘In Tune’, as well as on Jazz FM where Alexander featured as James Tormés ‘hidden treasure’. Alexander’s overwhelming support from his German audience led to the recording of a second, live album in Germany entitled ‘The Live Session’. Days after the release of the album, Alexander headlined Jazz Open, Stuttgart alongside other acts including Gregory Porter, and Van Morrison. Alexander was thrilled to be invited to be a guest vocalist on two performances with the legendary Count Basie big band, marking his Asia debut in December at the world-famous Venetian Hotel, Macau, China. Beginning of the recording started for the new album early 2015 with sessions taking place in both London and Prague. The new orchestral album features a UK big band of the finest jazz musicians as well as the City Of Prague Philharmonic. The album mastering session took place at the legendary Abbey Road Studios. ‘I Thought About You’ was completed early 2016 and was released on September 9th, distributed by Proper Music. Alexander Launched the album in London at the Hippodrome Casino and Manchester 235 to sell out audiences. in autumn that year, he toured the album in germany, playing in cities including berlin and munich.